We Have More Great Our Everyday Life Articles! Can You Hand Wash Silk That Says Dry Clean Only? 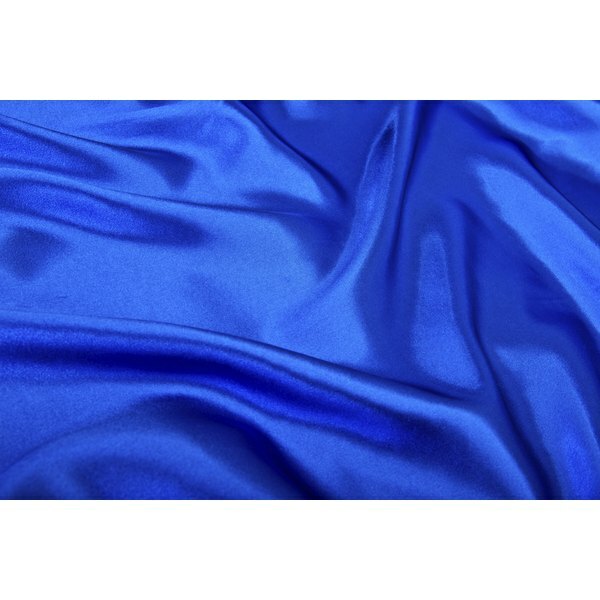 1 What Is Artificial Silk? 2 What Is Cotton Plisse? 4 Can You Hand Wash Silk That Says Dry Clean Only? Whether you sport a skinny silk tie or a chic silk blouse, natural silk possesses a timelessly luxurious quality. Synthetic materials, such as polyester, provide an alternative that comes at a fraction of the manufacturing cost and doesn't require a single silkworm to make -- sometimes, however, these synthetics get a little sneaky. Look for simple textural clues to differentiate the real deal from the impostor. Giving the material a thorough look under the light serves as perhaps the most effective way to tell silk and polyester apart. When you hold genuine silk to light, the characteristically smooth fabric features a subtle shine -- if you tilt the material, this luster changes color depending on the angle. Synthetic polyester, on the other hand, shines white no matter how you hold it. When faced with a questionable textile, have a close look at the weave, preferably under a magnifying glass. While machine-made polyester fabrics feature a virtually perfect, even and symmetrical weaving pattern, natural silk is prone to slight flaws, variations and imperfections. Slubbing -- slightly twisted or uneven lengths of thread -- indicates the genuine article. Real silk lets you see any patterns or prints on the reverse side of the material; polyester prints don't shine through. If the price tag seems too good to be true, it probably is -- genuine silk typically costs about six to 10 times as much as polyester alternatives. University of California Santa Barbara: ScienceLine: What Are the Materials That Are in Different Types of Fabrics? How Are Fabrics Different? Mizpah International Pty. Ltd.: How Do I Tell If My Silk Is Genuine or Artificial? Red Hare Communications: World of Thai Silk: How Can I Be Sure My Silk Is Really Silk? With a diverse professional background and a decade of experience as a freelance writer, Dan has contributed lifestyle content -- from fashion to travel to fitness and more -- to publishers including Chron, Fortune, Sony, GlobalPost, ModernMom, Moviefone, Salon.com, Techwalla and dozens of others.